Home Office minister Ben Wallace committed to “press” his colleagues to agree to the move after hearing fears from north and north-east MPs that it could “make or break the future of our fishing industry”. 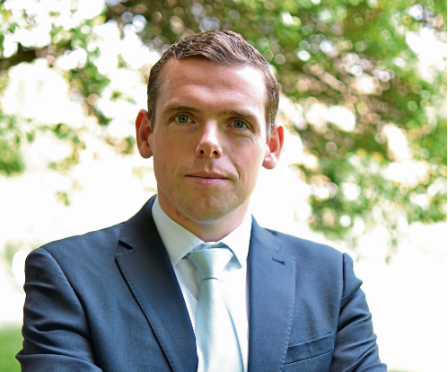 Moray MP Douglas Ross led a Westminster Hall debate yesterday amid concerns that the sector is facing a labour shortage on inshore vessels, with people from outside the European Economic Area (EEA) unable to acquire visas to work on vessels within 12 miles of the UK’s shore. He called for the return of a temporary scheme which previously granted concessions to such crew, and also urged the government to recognise fishermen as skilled workers and open Tier 2 visas to non-EEA workers. “This government rightly have concerns about immigration and have targets to ensure that it does not increase too much, but this is not a sector that would cause significant problems to immigration numbers,” he said. Banff and Buchan MP David Duguid backed the calls, saying: “The industry cannot cope with the current restrictions any longer. “If our coastal communities and fishing industry are to enjoy the revival offered by our leaving the Common Fisheries Policy, we need change now.